When we first moved to France back in 2004 we didn’t miss much, but we did crave for Branston Pickle. However, since discovering this delicious recipe, Branston no longer makes it onto our wish lists of goodies to ask for when we have visitors from the UK. In fact I struggle to think of anything now when I get the inevitable question “What would you like us to bring you from England?” “I don’t mind what you bring, as long as you don’t bring the weather,” is all I can think of these days. I don’t often blog about food, mainly because so many people out there are doing such a fine job of it. BUT, it’s that time again, when the fig trees are laden with fruit, you’ve eaten your fill, you’ve made some jam and are wondering what else to do with the basketful of figs sitting on your table. Sound familiar? No? It must be just me then! Place all ingredients together and bring to the boil, then simmer for 2 hours till good chutney consistency (whatever that is). Jar…. This chutney gets better with age apparently, although we have never had it long enough to find out! This entry was posted in Food and tagged Fig Chutney, Fig Pickle. Bookmark the permalink. 3 Responses to The Best Fig Chutney in the World……ever! Thanks for that Nikki. Made 21 jars of fig jam yesterday afternoon and still have four more kilos to go so chutn it will be. We got given some figs this week from a french neighbour and they ended up as jam. (Had to give it a go as I’ve never actually made jam before.) But this recipe sounds good and will give it a try when we next get figs! 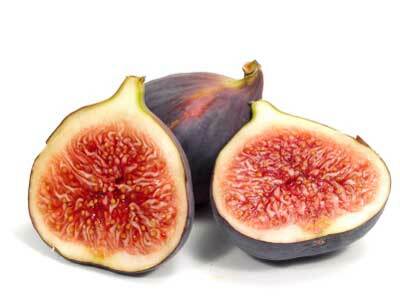 This is the best fig recipe ever!!! I sell this chutney at our local farmers market, I can’t make enough!! !